This is the iPad only version. Gymnastics Meet Tracker HD allows the entry of gymnastics meet scores, organized by Meet, Team and Gymnast for both girls and boys at any level, USAG, High School, College, etc. 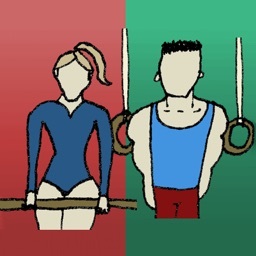 Enter a meet name, add your team of gymnasts and enter each score as the meet progresses and instantly know each gymnasts all-around score or an entire team score for the meet. 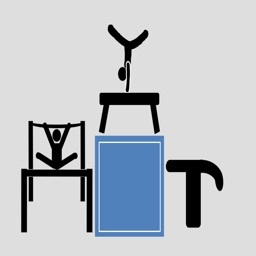 During the awards ceremony, enter the award place for each event and all-around or age group they receive. 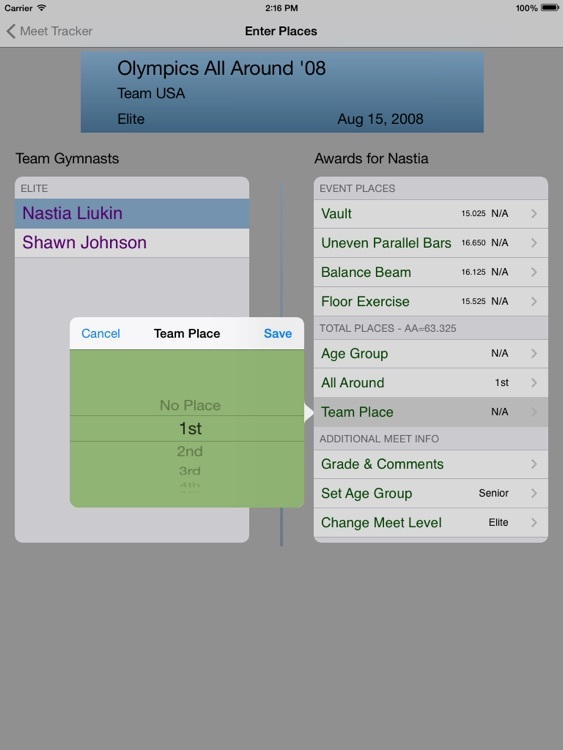 View results of the meet and email them with a single click in two formats - single gymnast or the listing of the entire team. 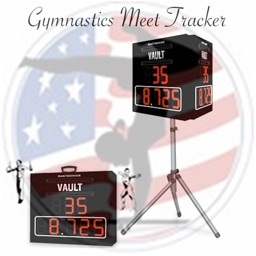 The team meet score is automatically calculated showing the initials of the gymnast who's score counted with totals for each event and an overall meet score. 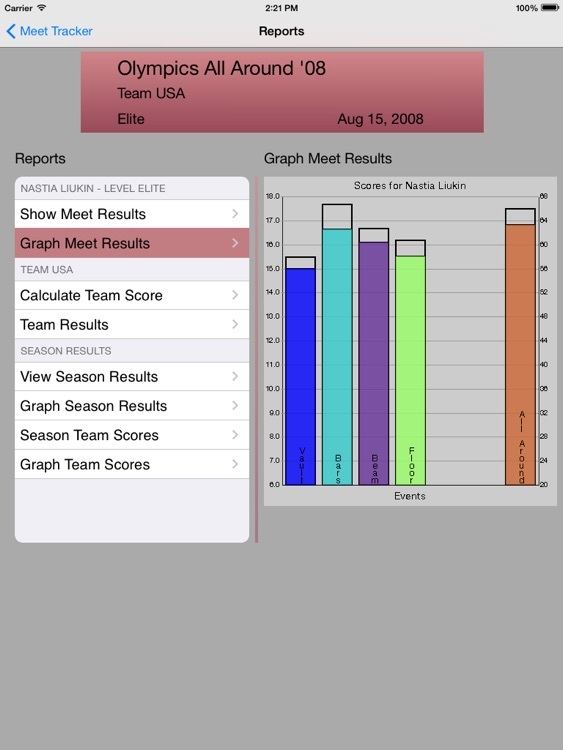 Graphically view the results for a single meet or an entire season. 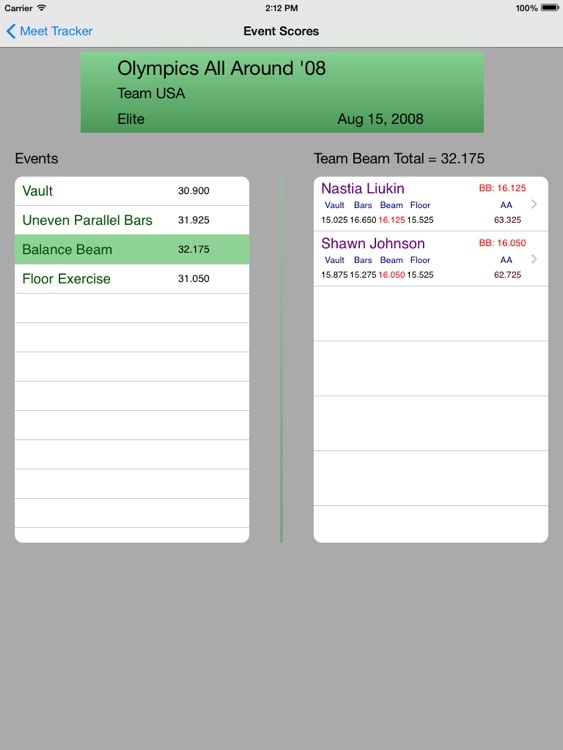 Instead of spending several dollars per meet for a paper program normally left in the bleachers, now you can track your child's performance throughout the gymnastics season and instantly know every score they have had all year long. 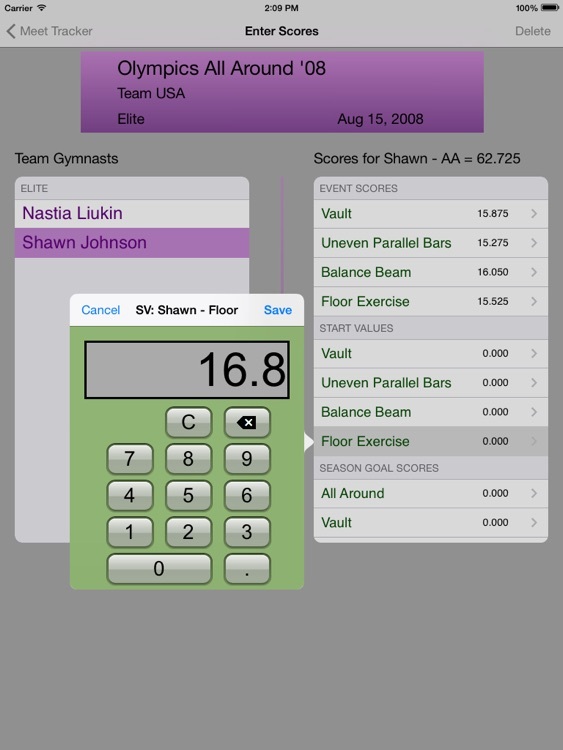 You can also see their progress graphically by each event or all-around score. 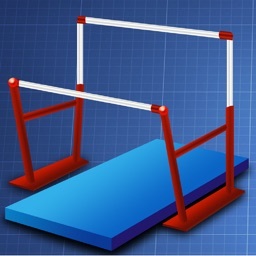 Email their up-to-the-minute meet results to those that can't attend during the meet with a single click or to your family afterwards showing how well they've done. Export or import data from your app for archival purposes or to share with others. What better way to record the meets scores and have something fun to do while the meet drags on.